A story surfaced over the last few days about a Norwegian skydiver who captured on film a rock flying by just after he deployed his parachute. Actually this happened about two years ago during which time some experts have been examining the evidence and have concluded that what he recorded was a falling meteoroid (it becomes a meteorite once it hits the ground) I was very skeptical about this story and was waiting for the bad astronomer to debunk it but he failed to do so, so I will have to do it for myself. Update 7-4-2013: Phil Plait has now posted a more skeptical followup suggesting similar ideas as written here (and by others elsewhere) which I fully agree with. The first thing to think about is what are the chances of this happening? 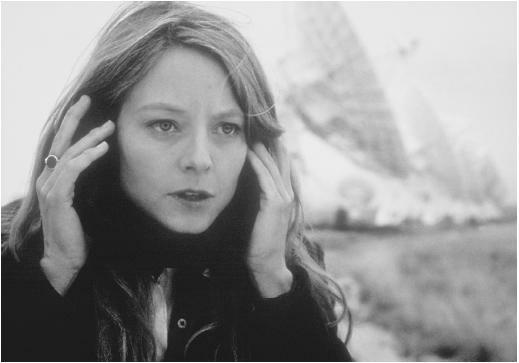 Records indicate that only one person has ever been hit by a meteorite. The person was a German boy who was hit by a pea sized meteorite. He was fine. There is also a story of a dog that was hit and vaporized but that story seems to be fake. 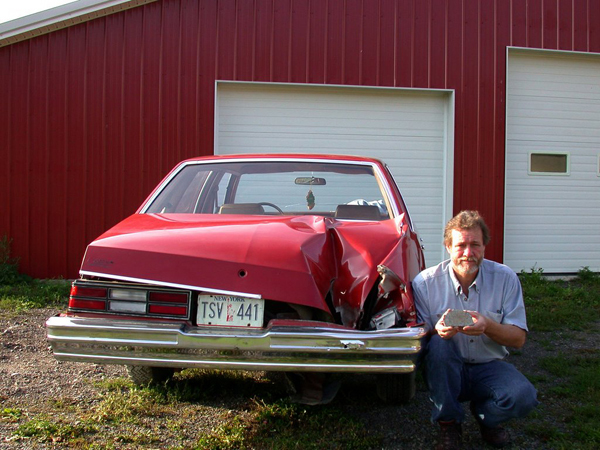 In addition there are also a handful of cases where cars have been hit by sizable meteorties. At least one, the Peeksill meteorite was verified. It could be that there are more unrecorded cases but we dont need precise numbers so let’s assume that as many as one car a year is actually hit by a sizable meteorite. There are about a billion cars in the world and most of them are outside exposed to the sky for most of the time. That is a lot of target space. On the other hand there are not too many active skydivers, maybe a hundred thousand at most doing on average a few jumps a year. Let’s be very optimistic and call it a million jumps where an event might have been recorded. A typical descent lasts about 5 minutes which is about a hundred thousandths of a year. 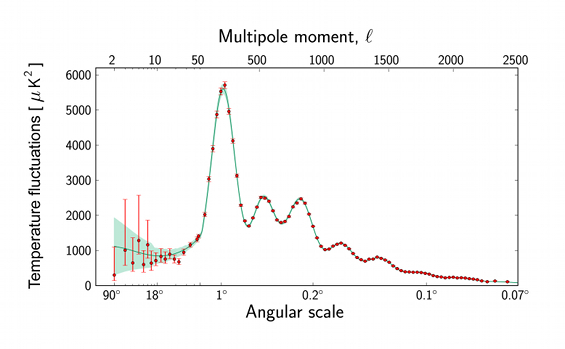 You can work it our yourself, with these generous figures and the assumption that a car hit has a similar cross-section to the claimed event, then we expect about one event like this every 100 million years. Yes, coincidences happen, but not something like that. So what are the alternative theories. One possibility is a planned hoax. It would not be hard to put such a hoax together and there are plenty of hoaxes around, but the motivation to do an elaborate science hoax like this seems lacking. This is much more likely to be a hoax than a meteoroid but I dont think that is the best solution. The most plausible explanation is the first thing that came into my mind and which others on slashdot have also suggested. It was a small stone that fell out of the parachute. Some people have disputed this because they say it was going too fast. In fact the estimated speed of the falling stone depends on its size or distance from the camera. The meteor experts estimated a large rock of a few kilograms travelling at 300 km/hr, but that is really based on the assumption that it is a meteoroid falling at terminal velocity. If it was a stone that fell out of a parachute it would have to be much smaller and slower and therefore nearer to the camera. This is equally consistent with what was recorded. The object fell past about four seconds after the canopy opened. This is perfectly in line with expectations if it was on top of the parachute and bounced off. Is it possible for a skydiver to pack a stone in his parachute? Yes certainly as this video shows. A testimony from a skydiver on slashdot confirms that this happens. It is not common but it is common enough to expect someone to capture it on video sooner or later. 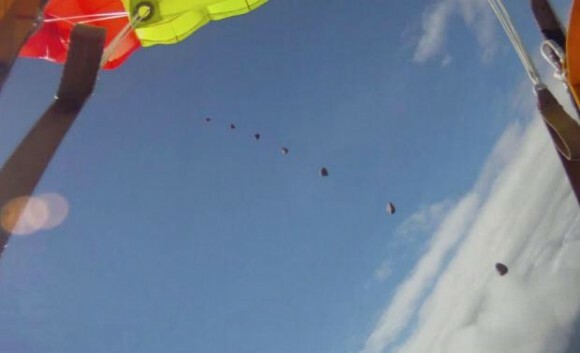 Update 8-4-2014: There is now an official explanation along the lines that the stone fell out as the parachute began to open and then passed the camera as the skydiver turned back a few seconds later. This is possible, as is my own similar explanation that it bounced off the top of the parachute and fell back a few seconds later. Now everybody is saying that it is all fine and they knew all along that it might not have been a meteorite etc. Funny that the video and all the news reports made a very strong case for it being a meteorite and very few of us immediately noticed that this was very unlikely. That is the power of wishful thinking, confirmation bias and the persuasiveness of the authority of a qualified expert . If you were fooled, you will know to be more skeptical next time. In fact if you watch the video again you will see that they considered the possibility that it fell from the chute and that this was the one other possibility that they could not easily dismiss, but they did not say that outright. They just conveniently skipped over it and talked about other theories that could be more easily dismissed. The expert is also reported to have said that the chances of this happening are like winning the lottery three times in a row. That is about right and it is something that never happens but he did not seem to get that. Sometimes people’s desire to be involved in something special are just so strong that their powers of reason are put on hold. 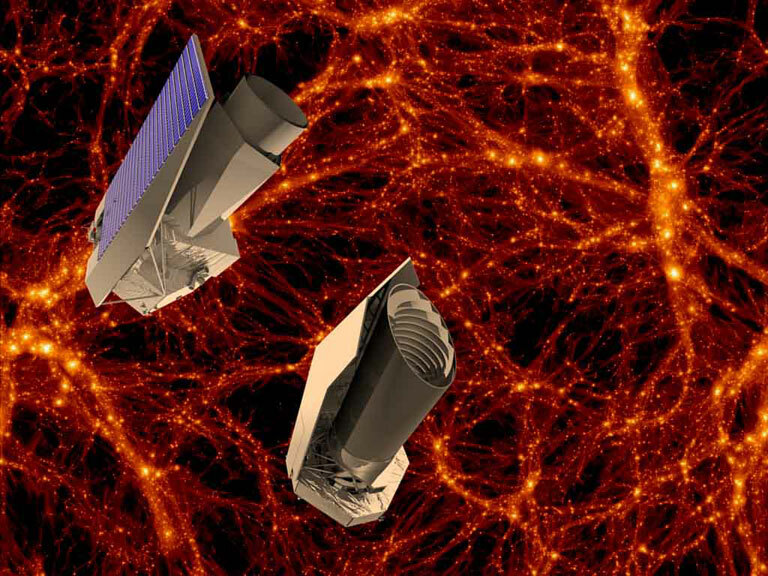 ESA’s EUCLID to explore dark energy while NASA’a WFIRST is in doubt. 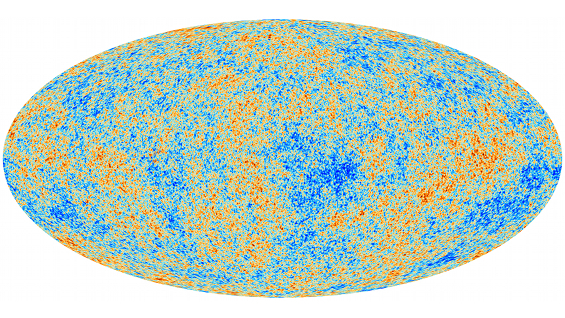 Just as the Nobel prize in physics is awarded for the discovery that points to dark energy, Europe’s space agency has announced that it will go ahead with it’s mission to map out the effects of dark energy on the distribution of galaxies over time. The mission christened EUCLID will be scheduled to launch in 2019 and will map the positions of galaxies out towards the edge of the observable universe. EUCLID was one of two missions that ESA announced yesterday under the banner “Dark and Bright“, the other being Solar Orbiter to launch in 2017. The news comes shortly after doubt was cast on the future of WFIRST a similar mission planned by NASA. The problem faced by the American Space Agency is that JWST, its ambitious next generation space-telescope, is over budget and absorbing funding from other projects. The status of big science in the US has recently taken some big blows. With the Tevatron bowing out to the superiority of Europe’s Large Hadron Collider and NASA’a manned space capability ending with the demise of the shuttle while China build’s up for a spectacular new space program, the days of US superiority in science seem to be fading into night. 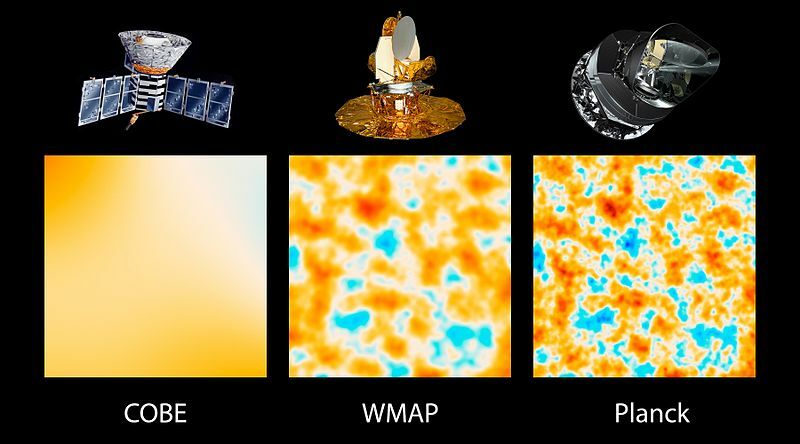 Many hopes now rest with the James-Webb Space Telescope which has the potential to be a ground breaking observatory especially for the exploration of the early universe, but the risk is high. The JWST is a complex instrument that will be sent to the Lagrange points far away from the Earth. Even if the US had a manned space program there would be no hope of servicing the mission as they did for the Hubble Space Telescope. It has to work first time and keep working. At least the American’s can still say they are bold. NASA’s Grail mission is about to launch with destination the Moon. The Delta II rocket will release two satellites into orbit above the lunar surface that will study the effect of gravitational anomalies on the flight trajectories. This will provide information about the internal density and structure of the Moon. They will also carry cameras to send back stereo 3D pictures of the moon surface. Countdown is currently 4 minutes and holding. Update: launch scrubbed for today due to bad weather. There are two launch windows tomorrow but forecast high winds may push the date back further. NASA is set to launch the billion dollar space probe Juno today. It is destined for a long voyage to Jupiter where it will enter orbit to study the planet and its moons in more detail then previous missions such as Galileo. The journey will take six years and will include flybys of Mars and Earth to send it further out to the gas giant. 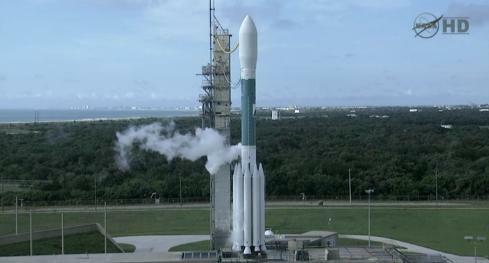 If all goes well the rocket will be sent into space on an ATLAS rocket in the next few minutes (12:25 local time). You can watch it on NASA TV. Update: The launch was a success. Here is a recording in case you missed it. 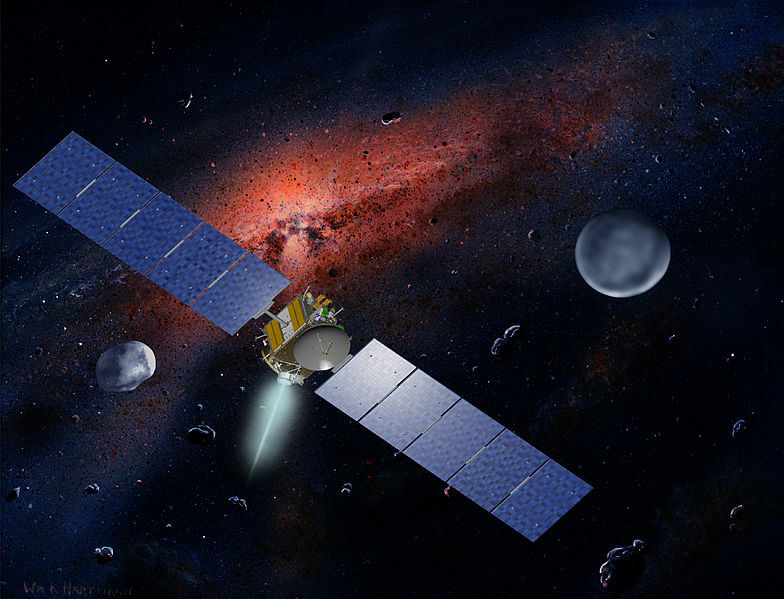 The NASA Dawn mission is approaching Vesta and should enter into obit tonight. We will know if it was successful tomorrow morning. It will stay in orbit around the asteroid for a year before gently pulling away using its ion drives to head out for Ceres which is now classified as a dwarf planet. Studies of Vesta and Ceres could provide clues about the early formation of the solar system. 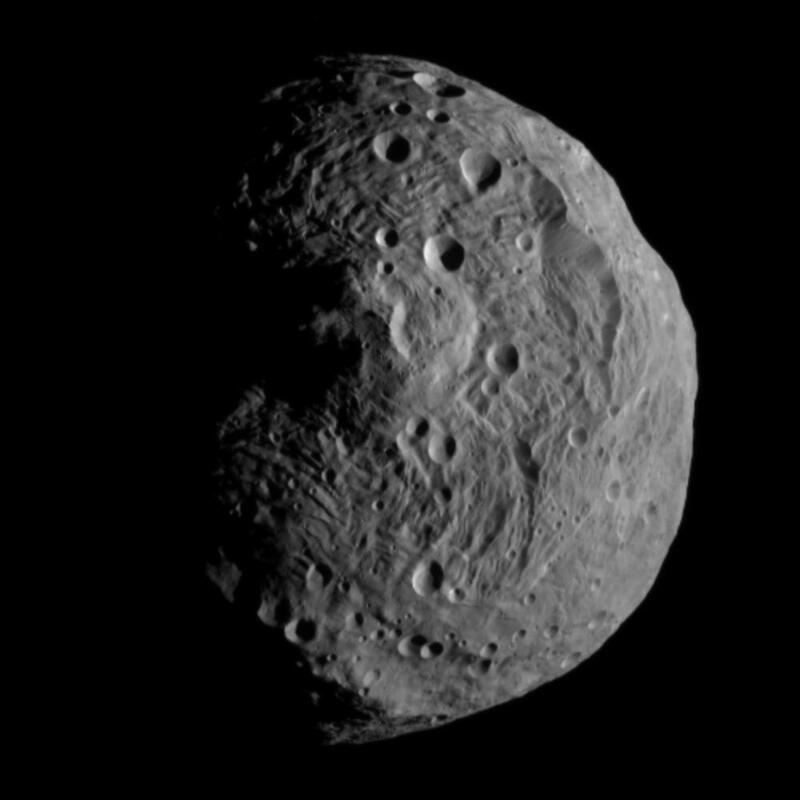 Update 17-Jul-2011: It has been confirmed that Dawn successfully entered orbit around Vesta.